First, take 6-8 gooseberries, slice then in half, and middle them in a mixer or mason jar with 2-3 teaspoons of sugar. If your gooseberries are sweet, dial back on the sugar, if they're tart, dial it up. 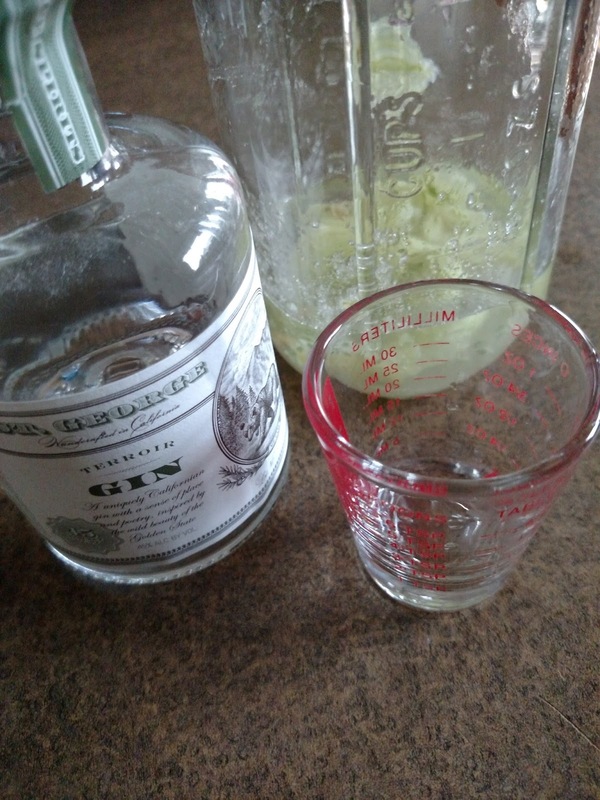 Add 2 ounces of your favorite gin and one egg white to the mixer. 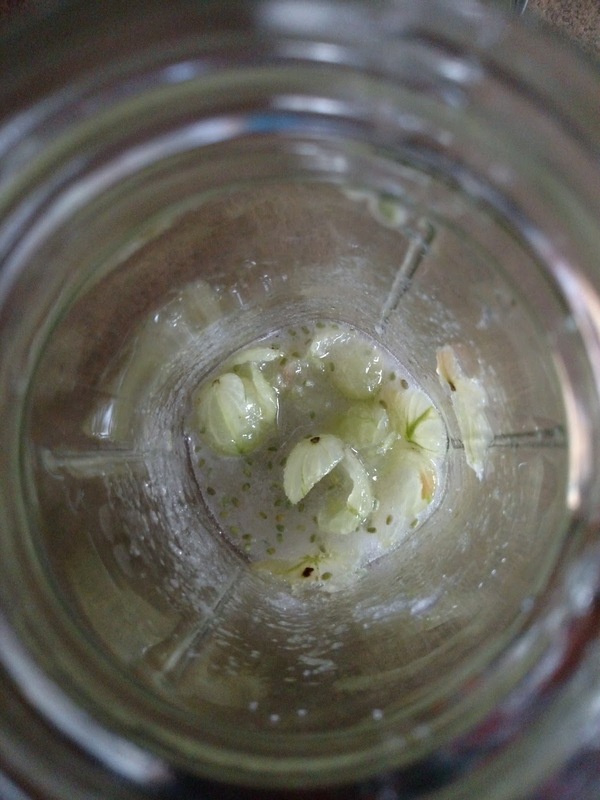 Shake vigorously for 20-30 seconds. 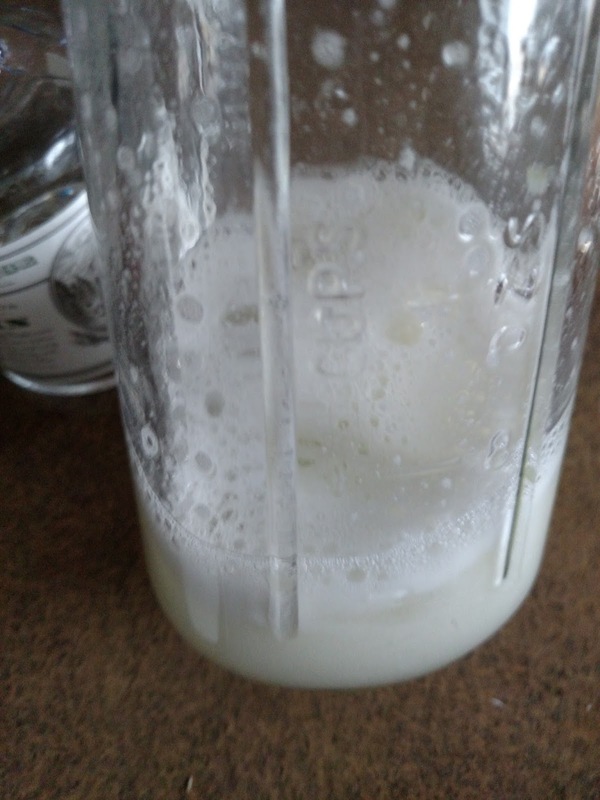 It should be getting frothy. Then add a handful of ice and shake for a while more. 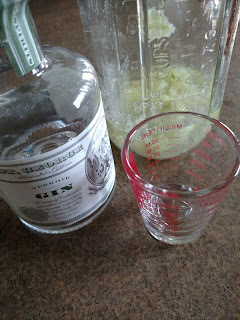 Strain into a glass, then top it with a splash of club soda. 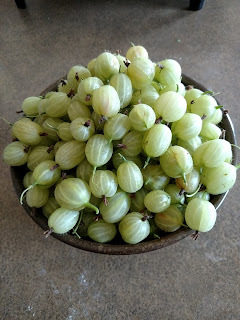 Just for kicks, slice partway through a couple of gooseberries and use them to garnish the rim of the glass. Tah-dah! 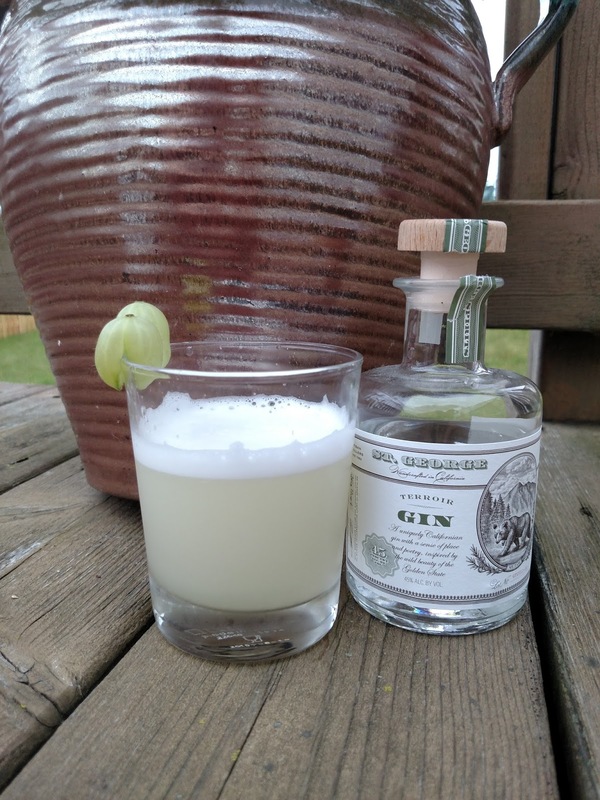 Your very own fancy schmancy seasonal artisan cocktail! 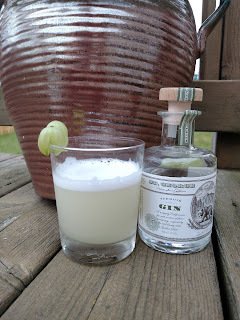 The gooseberries bring their unique flavor and tartness to the drink, while the egg white lends a smooth creaminess that takes the edge off of the gin. 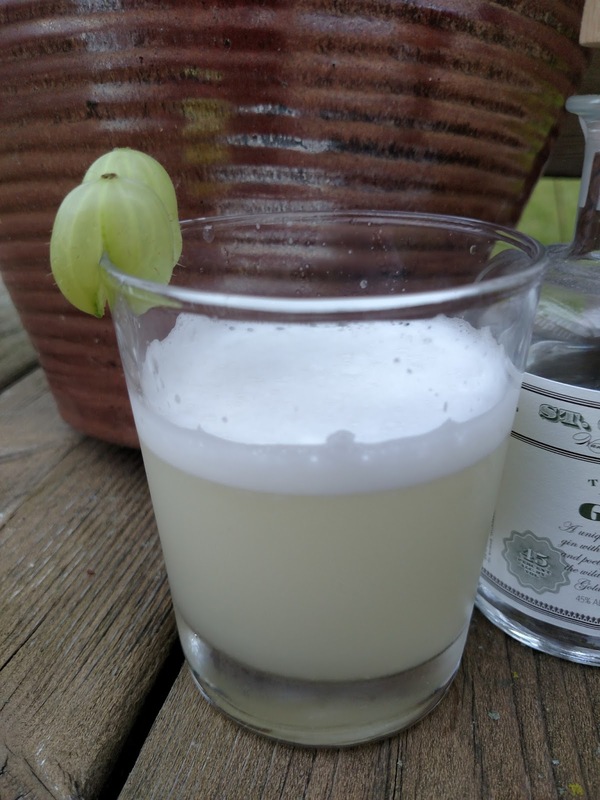 It's a delightful way to end a hot day, or to kick off a hot afternoon!